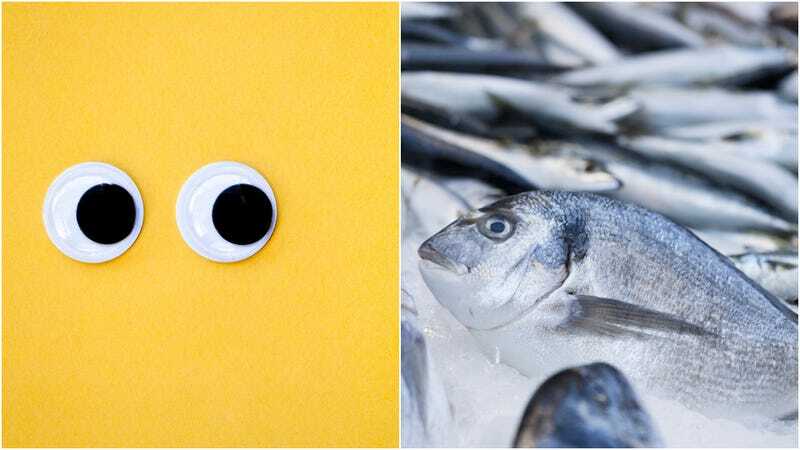 Hard to believe anyone was swayed by this, but we have to applaud the creativity involved in this marketing attempt: A Kuwaiti fishmonger was recently shut down for adding googly eyes to fish to make them appear fresher. According to the website The Spruce Eats, the eyes are windows into a fish’s freshness: “Look for bright, clear eyes… for they fade quickly into gray dullness. Dull-eyed fish may be safe to eat, but they are past their prime.” Which gives us a motive for this unusual action, but it’s still hard to believe that anyone was actually fooled by it. Would hate to see what happened when someone bought a fish, took it home, and had a googly eye fall right off.